Your Team. Your Data. Faster Insights. 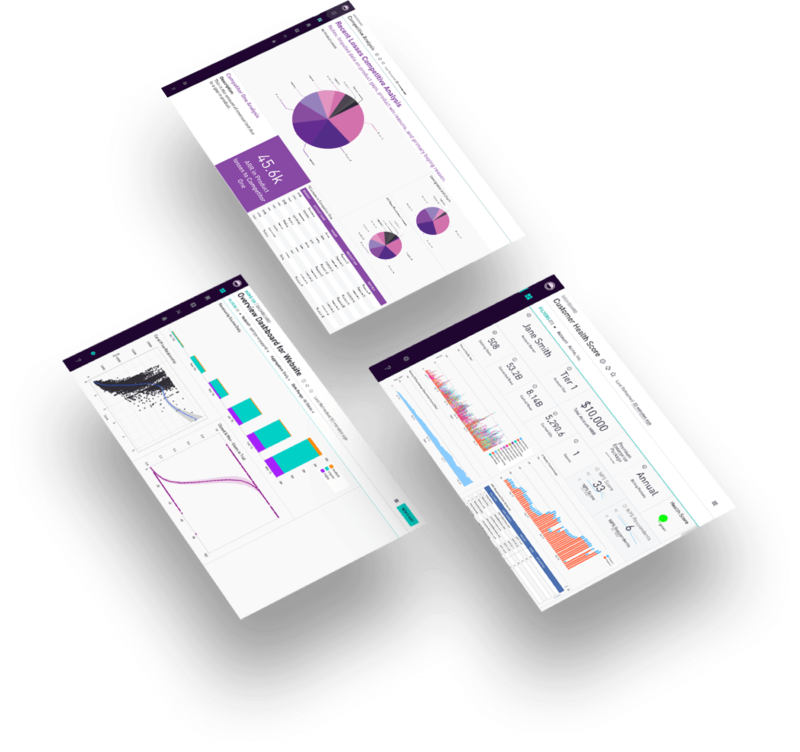 Streamline your team or department’s analytics workflow to drive timely decisions. 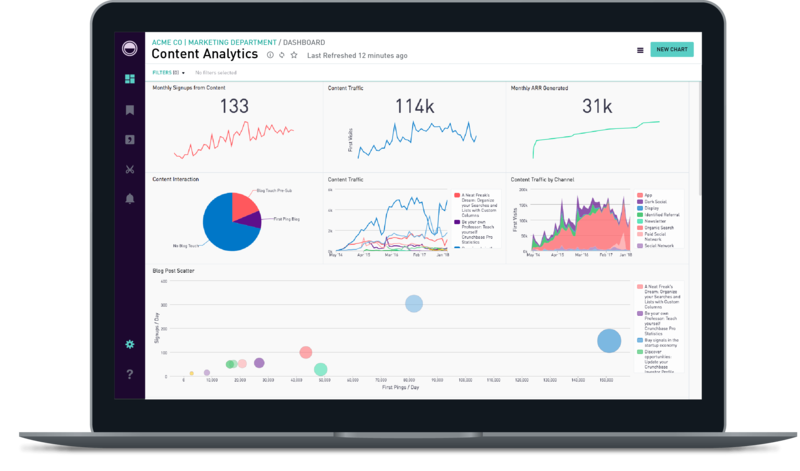 The Periscope Data Platform provides a full end-to-end analytics solution to quickly answer your department or team's specific questions. 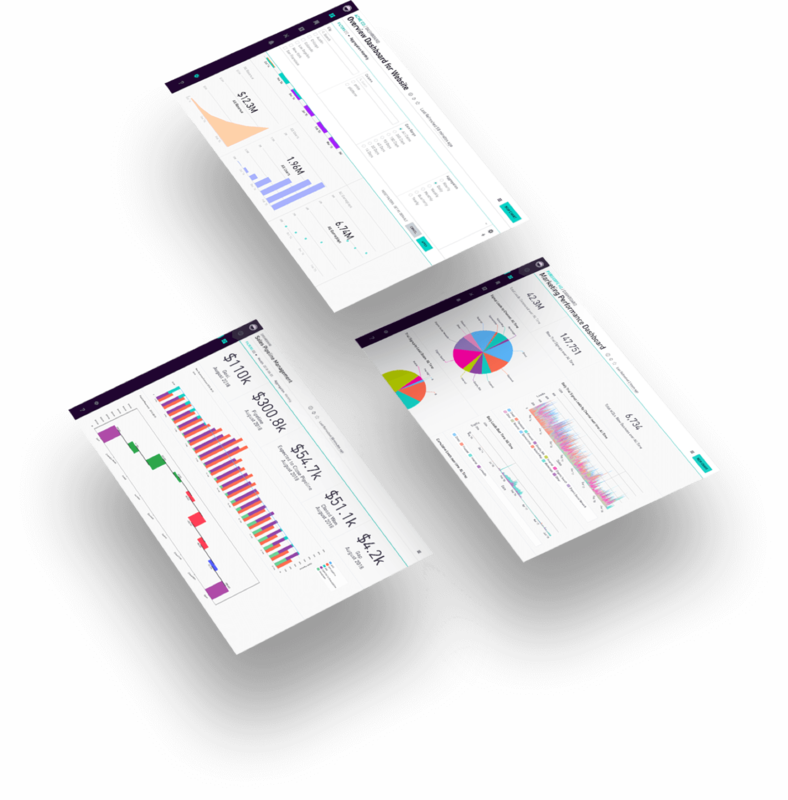 Accelerate your analytics workflow, from data ingestion and storage, to analysis and reporting. Reduce the demand being placed on your IT teams while ensuring the security, compliance, and control of data. No need to wait for data engineers to provide the underlying data and views. Periscope Data Infrastructure empowers data analysts to transform and join data to create their own purpose-driven views. With constant access to a complete data set, data analysts can spend more time getting deeper into the data. We securely push or pull data from any source into a single source of truth so you can discover hidden trends and insights. 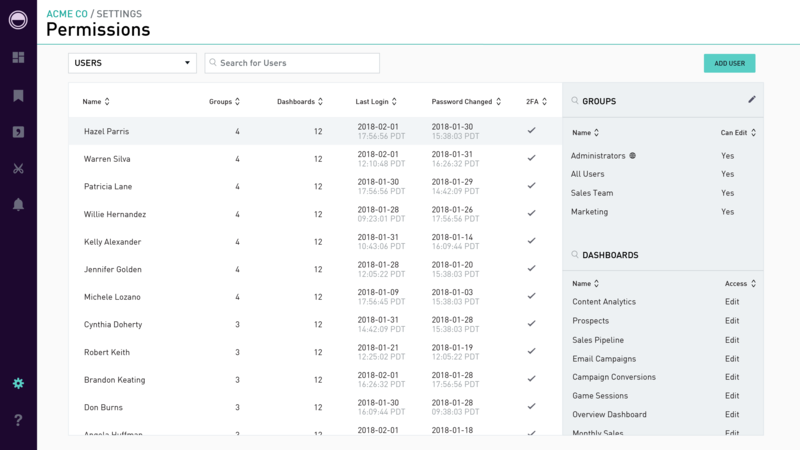 Through our native connectors and partners, Periscope Data Infrastructure connects to a full range of data sources quickly and easily. Gain full visibility into which data sources and tables your analytics are being derived from to ensure accuracy. Accelerate troubleshooting by quickly identifying broken tables that needs to be fixed. As a unified data pipeline, you now have end-to-end tracebility to your data sources, dependency and scheduling. Built on Amazon Redshift, the Periscope Data Infrastructure gives you the power of a reliable, high-performance distributed database without any of the maintenance overhead. Remove the tedious and expensive maintenance overhead of a modern data warehouse from your hands. Supported by our expert data engineers, completely automate the administrative tasks to manage, monitor, and scale your data warehouse. Easily pull, push, and blend data from your existing sources, creating a single source of truth. Future-proof your data with a warehouse that is extensible to new data sources as your organization grows. With optimizations like materialized views and optimized sort and dist keys, speed-up queries up to 150 times faster than anything else on the market. Leveraging the global availability and petabyte scalability of Amazon Redshift, the Periscope Data Warehouse scales on-demand to perform in any load, whether it is multiple queries or high amounts of users. Ensure your data warehouse will be available when you need it with 99.9% uptime. All data is automatically replicated and continuously backed up. Additionally, the health of your data warehouse is constantly monitored and failed drives and nodes are replaced as necessary. The Periscope Data Warehouse protects your data at-rest and in-transit using TLS and AES-256 bit encryption, and the cloud service is compliant with SOC2 and HIPAA requirements.